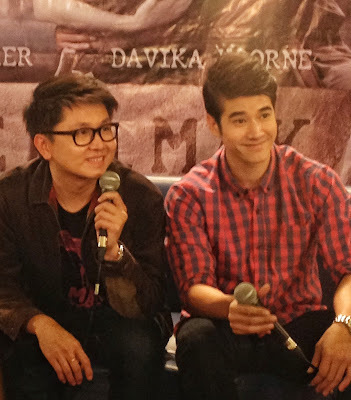 Home / Mario Maurer / movie / Pee Mak / reviews / Review: "Pee Mak"
For Star Cinema's 20th Anniversary, Star Cinema has included "Pee Mak", a Thai horror-comedy blockbuster movie, as one of its movies to watch out for. Star Cinema along with Suraya production and distribution, was able to invite Mario Maurer, one of the main cast, and also Director Banjong Pisanthanakun for the premier night of "Pee Mak" at Trinoma Cinemas last August 3, 2013. "Pee Mak" is based on Mae Nak Phra Khanong, an urban legend in Thailand. Mario Maurer plays as Mak, a soldier who had to leave his pregnant wife to go to war. Mak was not aware that Nak, his wife died of childbirth while he was at war. After the war, Mak came back to Phra Khanong with his four friends from war to see his wife Nak. The whole town knows about Nak being dead and Nak had haunted the whole town. Mak's four friends had found out that Nak is a ghost and had helped Mak realize it. A lot of Mae Nak Phra Khanong films have been made but it was always has been from Nak's standpoint. This was the first time that the urban legend was taken in the point of view of Mak, the husband. According to Banjong Pisanthanakun, they had fun filming Pee Mak because the cast was really good. I second the motion with that because the movie is really good and entertaining. A definitely horror setting paired with a good comedic cast and a human-ghost love story as a base is a sure hit to movie goers. It doesn't surprise me that they are a blockbuster movie in Thailand. After watching the film, I can say that it was indeed well made. I couldn't help but notice the good cinematography which made me anticipate for the horror-suspense scenes which ended up not being scary at all, but instead real funny. Kudos to the 4 comedian actors which really made the whole movie a lot fun. They did indeed brought the comedy factor of the film. 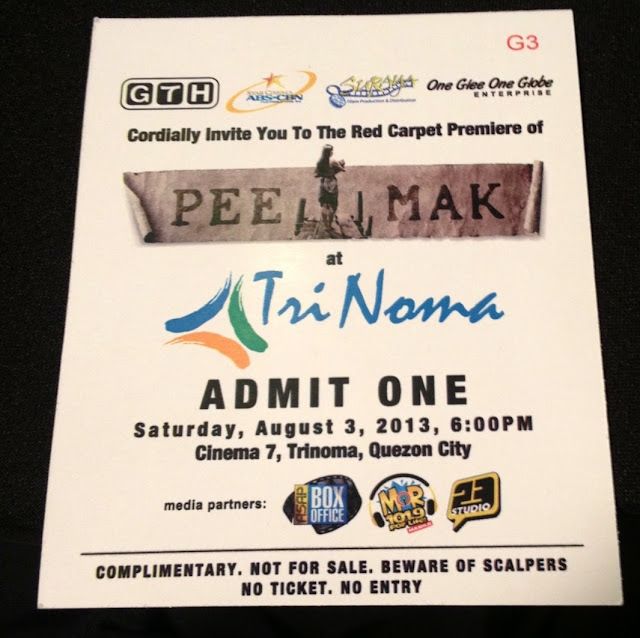 Pee Mak will be shown on August 28 in the Philippines. Go watch it with your family and even your date.